Introduction: Science and scientific method. Physics and Chemistry. Science and Technology. Measurement: Measurement and its importance. Units. Systems of Units. Scientific notation powers if 10). Basic and Derived units. Dimensions and its uses. Errors. Kinematical variables for one dimensional motion (position, time, speed, velocity, acceleration etc.). Relations between these for uniform motion. Graphical representations of uniform and non-uniform motion. Vectors and their use in the description of motion in two and three dimensions. Uniform circular motion. Concepts of mass, inertia, momentum and force. Newton's three laws of motion. Their statements, explanation, significance and limitations. Types of forces. Force of friction, Static, Kinetic and rolling friction. Work, Energy and Power: Definitions of work (done by a force), energy and power. Kinetic energy and potential energy. Types of energy and the law of conservation of energy. Rotational motion: Variables describing rotational motion. Rotational kinetic energy and moment of inertia. Angular momentum. Equations of motion for rotational motion. (Conservation of angular momentum). Periodic motion and simple harmonic motion. Kinetic energy and potential energy in simple harmonic motion. Difference between wave motion and simple motion. Relations between frequency, wavelength, speed, wave number etc. Equation for a harmonic wave. » Physics: A text book for class XI (portions from part I and chapters 12 & 13 from part II) NCERT, New Delhi. 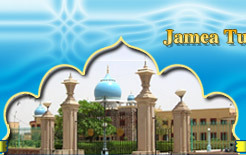 » Jadeed ilmul science ( ) by Wazarat Hussain, Educational Book House, Aligarh. Construction of geometrical figures likes Triangles, Squares, Rectangles, Pentagons and Hexagons. Circumscribed and Inscribed Circles. Conventional symbols for Electrical installation (IS: 732-1963), symbols for indicating apparatuses and symbols for indicating the methods of operation of instruments and accessories. (IS: 1248-968). Graphical symbols used in Electro-technology: Switchgears and Auxiliaries (IS 2032-1965) Current distribution systems and methods of connection (IS: 2032-1962). Graphical symbols used in Electro-technology: Motor starters, Rotating machines and Transformers (IS: 2032-1964 & IS : 2032-1965). Symbols used in simple circuit diagrams, Sketching of name plate of transformer (IS: 1180-1964), Typical terminal marking plates of transformers upto 100 KVA. Diagram of HRC cartridgefuse links and fuse (IS:3106-1966). » Electrical design, estimating, & costing by K.B. Raina & S.K. Bhattacharya. » Industrial Electronics and Control by S.K. Bhattacharya. 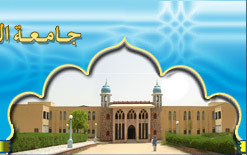 » Electrical Engg. Drawing by S.K. Bhattacharya. » IS Codes 732-1963, 1248-1968, 2032-1962, 1964 and 1965,3106-1966. Introduction to the trade. Scope for training in the trade. Safety precautions and first aid for electric shocks and burns etc. Description and specifications of common hand tools. Fundamental terms, definitions and units etc. Electric current, effect of electric current, Electrical conductors: their shapes, sizes and use of wire gauge. Insulated conductors: their specification in terms of type of insulation used, voltage rating, no. of core etc. Common electrical accessories and Different types of insulating materials. Principle of electromagnetism, Electromagnet advantages and uses, Magnetic field of current, Right hand thumb rule, Different terms related to magnetism, Principle of Elector-magnetic induction, Farradays' law of Electro-magnetic induction. Principle of D.C. generator, Fleming's Right hand rule, EMF equation, Fleming's left hand rule, Principle of D.C.-motor, terms used in DC-motor their relation and practical application. Fundamentals of AC, different terms used and their interrelations. General idea of single phase and 3-phase supply systems, Concept of inductance and capacitance, Use of inductor and capacitor. Power factor and power in A.C. circuits. » Fundamental of Electrical Engg. by Ashfaq Hussain. » Basic Electrical Engg. by V.K. Mehta. 1. 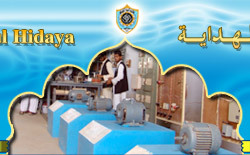 To study various types of Electrical tools. 2. To control one tamp with one switch. To control two lamps in series two in parallel and one alone. 4. To make connection of stair case lighting using two 2-way switches. 5. To control one lamp from different places using an intermediate switch. Also study the intermediate switch and its applications. 6. To make connection for gallery lighting. 7. To make connection for a 230 V calling bell. To make connection for a 6 V bell using a 230 V/6 V transformer. 8. Study of various types of wires and cables used in domestic wiring. Measurement of SWG of different wires by means of Standard Wire Gauge. 9. To make connection for a fluorescent tube light and study the function of choke and starter.